BRUSSELS (Reuters) – Islamic State will attack Europe again, security chiefs warned Dec. 2, and may add car bombs, cyber and chemical warfare to its local arsenal as European militants drift home after reverses in Syria and Iraq. Gilles de Kerchove, the European Union’s Counter-Terrorism Coordinator, said it was impossible to know for sure how many militants were already in Europe plotting. A report on Friday by the EU’s Europol policy agency referred to dozens. Some 2,500 Europeans may still be fighting in the Middle East, de Kerchove estimated in an interview with Reuters. But as they face setbacks in Mosul, Aleppo and elsewhere, Europe must track them if it is to contain a diaspora of trained militants like that which followed the 1989 Soviet withdrawal from Afghanistan. 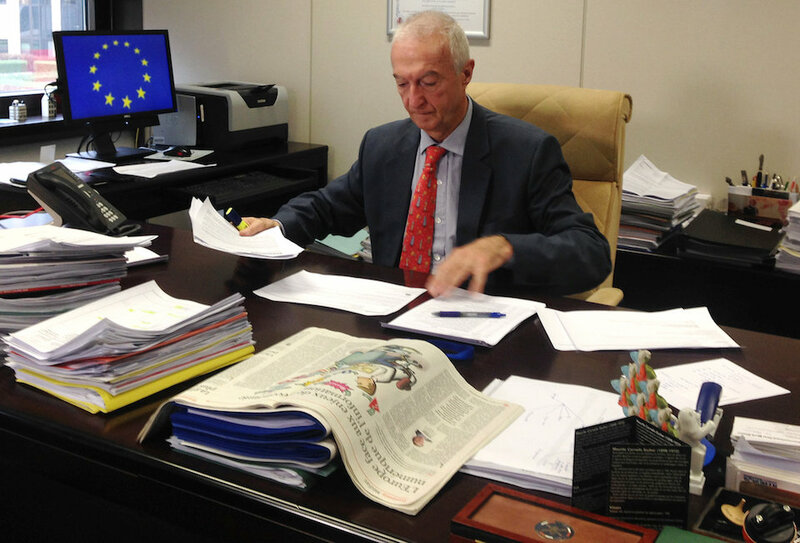 “We have to be prepared because some of them will come to Europe,” said de Kerchove, a veteran EU official whose Brussels office is packed with books and souvenirs from nine years of intensive travel and talking with Europe’s troubled neighbours. Many of those fought in Algeria’s bloody 1990s and went on to operate in conflicts from Chechnya and Kosovo to Yemen. Some Europeans, among them also wives and children of fighters, may choose to stay in the Middle East even if IS loses its territorial grip. Others may go further afield, with lawless Libya already looking like a new base for European militants and the movement likely to go on recruiting over the Internet. “The physical caliphate … is collapsing but we still have the virtual caliphate and this allows the organisation to direct attacks,” de Kerchove said. In his post since 2007, the Belgian lawyer said the past two years have seen an “impressive” leap forward in intelligence cooperation among EU states and a tightening of law and practice on Europe’s borders in response to the variety of IS attacks that have included mass killings in Paris, Brussels and Nice. “We have nearly fixed most of the loopholes,” he said of what Europe could do internally to combat the Islamist militants who pose by far the bulk of violent threats. The tougher part is now, de Kerchove said, to address root grievances for militants, whether among alienated people at home or angry Sunni Muslims in Iraq and Syria. Inside Europe, he said, “we are doing a lot better”. 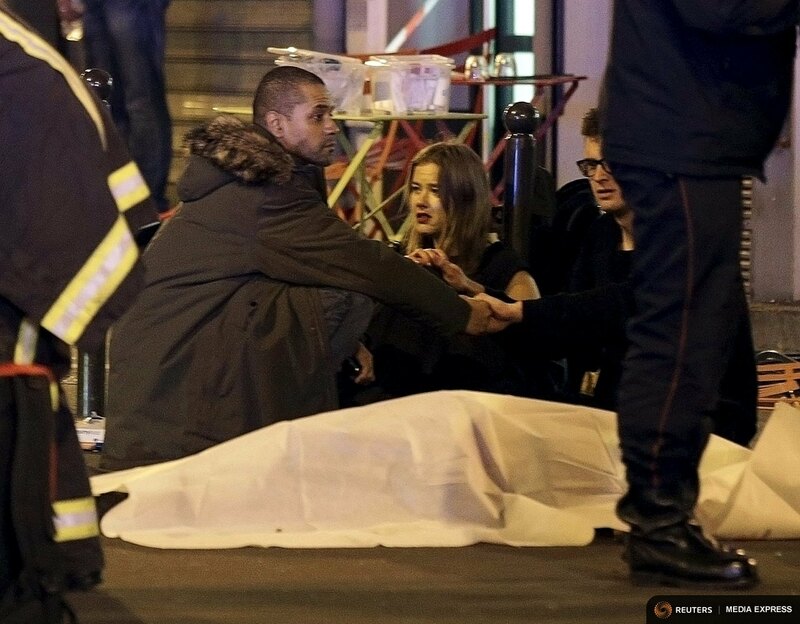 Europol identified immediate threats as similar to recent attacks: groups using automatic rifles and suicide vests packed with home-made TATP explosive, or loners with knives or trucks. IS was also infiltrating Syrian refugee communities in Europe in a bid to inflame hostility to immigrants in places like Germany. De Kerchove stressed also a new risk of IS bringing car bomb tactics, common in Syria and Iraq, into Europe. Agencies were, he said, also preparing to counter more complex tactics in years to come, such as cyber attacks and biological weapons. For now, he said, the Internet was a weapon mainly of recruitment and radicalisation of individuals — something the EU was working on countering in alliance with network companies. “So far the terrorist organisations have not used the Internet as a weapon, to mount an attack through the Internet,” he said, citing the risk of disrupting nuclear power stations, dams, electricity grids or even air traffic control systems. “It has not happened so far … but I don’t exclude that before five years we will be confronted by this,” de Kerchove said, noting IS had the funds to hire seasoned criminal hackers. The EU was, he said, “actively working” to counter chemical, biological, radiological and nuclear threats but did not see an “acute risk”, despite evidence of militants dabbling with germs or using poison gas in Syria. “We need to be prepared,” he said. International cooperation is a priority and de Kerchove spends much of his time building relationships with Arab countries, Turkey and other neighbours. Ties with the United States had become very close under President Barack Obama and de Kerchove voiced a hope they would remain so under Donald Trump. Working with Britain, a leader in counter-terrorism in Europe, should not be greatly affected by its decision this year to leave the EU.